Each year, our Surviving Winter Appeal goes from strength to strength, and over the past eight years we have raised over £615,000 together, heated thousands of homes and helped many vulnerable people right across Suffolk. Don’t need it? Donate it! Often the simplest ideas are the best. Everyone in Suffolk over the age of 65 receives a non means tested Winter Fuel Payment, whether they need it or not. We simply ask that if you don’t need it, you donate it to the Surviving Winter Appeal, so that it can be given to another older person in the county living in fuel poverty. We also now have many people who simply make a donation to the campaign. With 310 excess winter deaths in Suffolk alone, the Surviving Winter Appeal is quite simply a life saver. ”We are so thankful that support for Suffolk’s Surviving Winter Appeal remains strong every year. Suffolk remains the most generous County, making more donations than anywhere else in the UK. Something to be really proud of. But whilst the latest central government figures show a significant drop in ‘excess winter deaths’, the national figures are still the sixth highest in Europe and in Suffolk alone 310 vulnerable people died from causes directly attributed cold and poor living conditions during the winter months.’’ Tim Holder, Head of Public Affairs, Suffolk Community Foundation. Our charity partners are Citizens Advice Bureaux, Warm Homes Healthy People, Age UK Suffolk, The Rural Coffee Caravan and Meet Up Mondays. Our business partners are The East Anglian Daily Times, East of England Co-operative, Hopkins Homes, Ipswich Building Society and Ipswich Town Football Club. The Surviving Winter Appeal plays such an important role in saving the lives of older vulnerable people during the winter months. We look forward to giving a warm welcome to anyone wishing to make a donation in any of our branches across the county. Supporting older vulnerable people to stay warm and well in their homes during the winter months saves lives and significantly reduces hospital admissions. This certainly benefits the individual, but also society as whole. The partnership approach that Suffolk Community Foundation’s Surviving Winter Appeal has created between the public sector, charities, business, the media and the general public is exactly the sort of powerful collaborative approach that we need to achieve this. We have also been fortunate to receive all-star support from Bill Turnbull, Griff Rhys Jones, Christine Webber and many others. High energy prices and inefficient homes continue to place vulnerable individuals at a higher risk of poor health. 43,300 households in Suffolk currently live in fuel poverty, and shockingly, 25,000 people in the county are currently living below the poverty line. With these harsh facts, you can start to see the scale of this devastating issue. 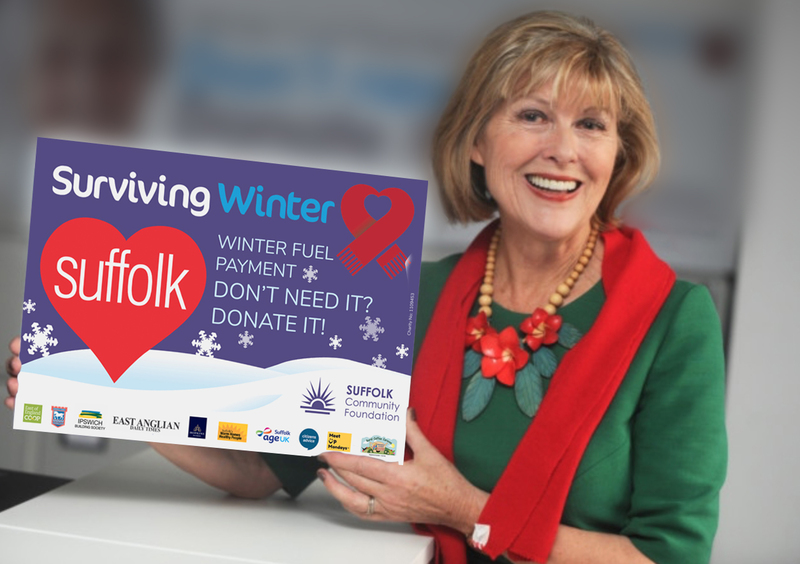 We would like to thank the thousands of Suffolk people who donated all or part of their Winter Fuel Payment to this appeal. Through your ongoing support, more has been achieved to improve the lives of older and vulnerable people in Suffolk. Hopkins Homes has worked with the Suffolk Community Foundation for a number of years and we are delighted to further strengthen this relationship by supporting their Surviving Winter campaign. The campaign resonates very clearly with our commitment to supporting some of the most vulnerable people in our communities and the recent announcement of our Winter Crisis Fund. We are looking forward to working with Suffolk Community Foundation on both projects and helping to support those in need this winter. Keeping older vulnerable people warm and physically well in their own homes is so important and saves lives. The Rural Coffee Caravan Information Project is delighted to be joining the Surviving Winter team this year. Whilst we all aim to keep people warm in their homes, we also need to make sure that they stay connected and don’t suffer loneliness and isolation. It’s shocking that 25,000 older people in Suffolk are currently living below the poverty line. 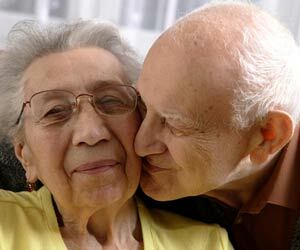 The appeal does much to support our older vulnerable people during the winter months. It has been raising more and more money every year, but sadly the need for it continues to increase significantly too. 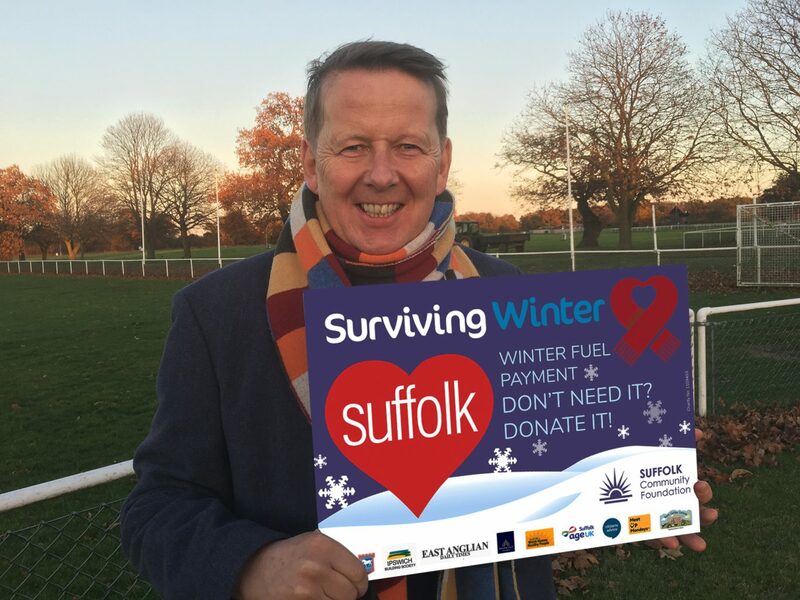 I would ask everyone in Suffolk to give generously to this appeal and save lives this winter. Thank you. Download our Surviving Winter Appeal leaflet, and watch the video to learn more about how our Surviving Winter Appeal saves lives in Suffolk.